The NFU has produced an updated newsletter for members affected by the flooding in the North of England. It contains information on where to find advice and funding to help with the recovery operation, along with key contacts for assistance. The information is regularly updated; therefore it's important to continue to check NFUonline for developments. Read our newsletter here - last update February 29 2016. Comment: As with our experience, in the Vale of Gloucester, flood levels and duration will have been significantly enhanced by flood plain and valley obstructions, including bridges, causeways and defence banks. Some old stone bridges have been so obstructive that they have been partially washed away. As attractive as they may look, they should be replaced with modern, wide span structures. 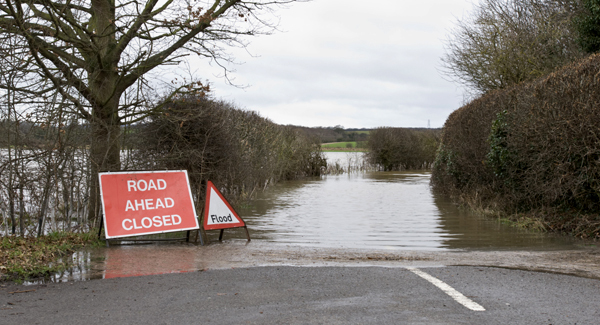 Farmers generally know how to remove obstructions from their watercourses. EA seems to lack that ability!